Azaadi- The Band from New Delhi has played live concerts across the country and makes a great entertainment choice at your wedding. With just a single stick on the drums, fingers on the guitar and hearing the tune of the piano, you will simply get goosebumps. Be it a sangeet function, engagement ceremony or a reception night, this is one group who with their talent and charm, will light up the entire environment. Your wedding day will now have have a musical destination with Azaadi -The band, who will sing some beautiful compositions, just for you. AZAADI The Band is a wedding entertainers orchestra based out of Delhi . AZAADI The Band's telephone number is 76-66-77-88-99, address is New Delhi, Delhi, India. AZAADI The Band is mainly known for Entertainment Services. 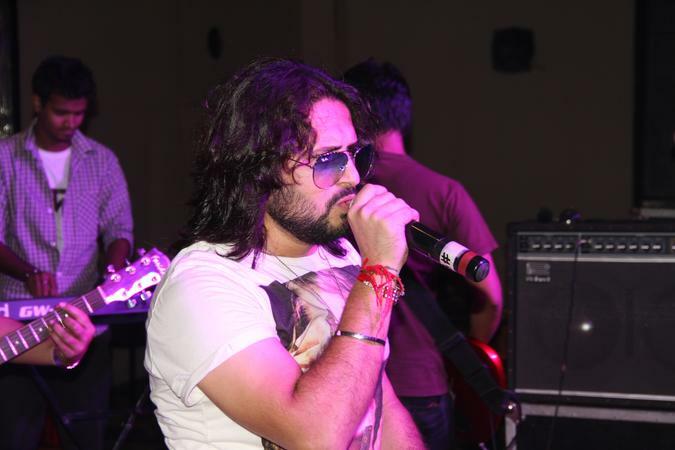 In terms of pricing AZAADI The Band offers various packages starting at Rs 100000/-. There are 0 albums here at Weddingz -- suggest you have a look. Call weddingz.in to book AZAADI The Band at guaranteed prices and with peace of mind.